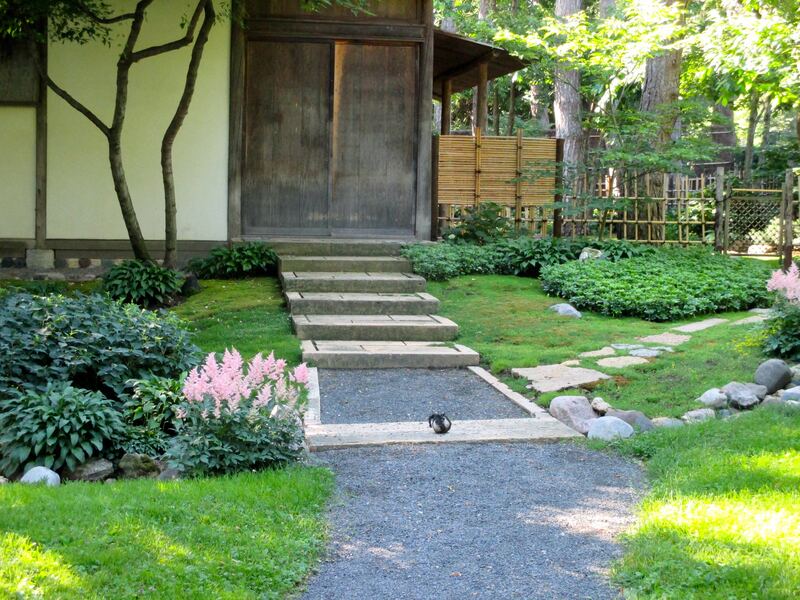 Japanese garden expert and NAJGA board member John Powell recently shared his thoughts about the experience of training in Japan and applying his knowledge in the North American context, particularly in Minnesota and other areas in the central part of the United States. John will be one of the facilitators of NAJGA’s two-day workshop and garden education tour in the Minnesota area from August 7 to 8. NAJGA: How did you first become interested in Japanese gardening and what led you towards the path of devoting your career to it? JP: I have been involved with gardening since a very early age, studying and working in a variety of fields. 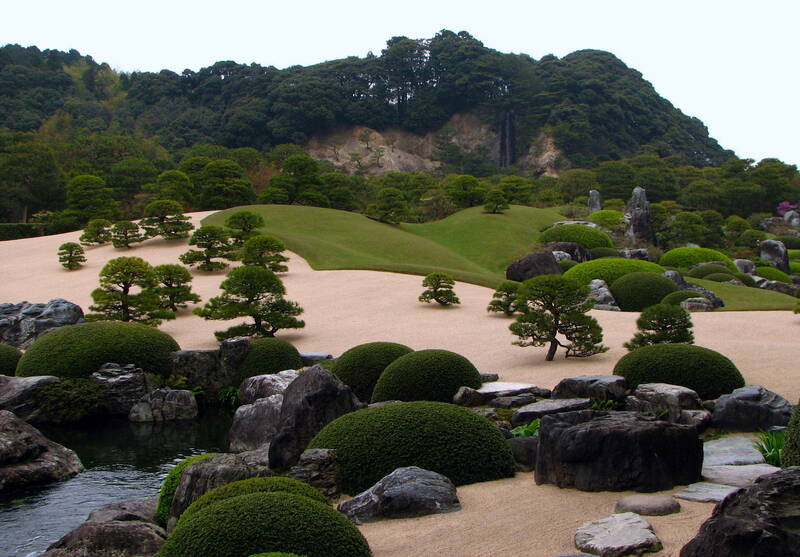 When I first visited Japan in 1993, I was immediately taken by the beauty and quality of the gardens I saw. I was especially impressed though with residence gardens and their ability to link interior and exterior spaces seamlessly and often with very small areas to work with. NAJGA: As the first Westerner to be invited to train with the garden staff of the Adachi Museum in Japan, what were the important lessons you took away from this and the rest of your training experience in Japan? JP: Besides the obvious lessons of improved techniques in the presentation and maintenance of a high-quality Japanese garden, I told myself on my first day at the museum that I would forget everything I thought I knew about landscape gardening and just absorb everything anew. I had done this with the first company I had trained and worked with in Japan with great results. This I feel is an important approach to anyone trying to learn from our Japanese friends. So many maintenance activities are technique driven, and while things like shearing and sweeping look simple enough and require no explanation, they in fact take time to master to do them quickly and efficiently. When working at the Adachi Museum, it is like performing on stage in front of a large audience. When everyone works together in the same rhythm, it looks effortless and almost choreographed and the work of caring for the garden is not a distraction to the guest. When it is done out of sync, then it becomes a distraction to the guests experience of the garden as a whole. NAJGA: Aside from Adachi, what are some of the gardens that you admire and which represent your ideals of Japanese gardening? JP: There are many gardens in Japan and in the United States that I admire for their attention to quality of both garden and guest experience. To the gardener, the garden is never finished. Trees need to be pruned, paths swept, stones adjusted. It is never ending. When all of these tasks are applied, the gardener can elevate even a garden of mediocre design to a higher status that leaves the guest feeling refreshed and rejuvenated. Without the commitment to maintenance though, the experience is diminished and disappointing. The garden is also alive and ever changing and because of this, something I find most admirable are the gardens that understand this and are able to respond to the changes. In many cases, the gardens are attractions for guests, and without adequate care and improvement, they cease to become exciting anymore and viewership drops. Even the best of the best have room for improvement. NAJGA: As a consultant for three of the Japanese gardens that will be featured in NAJGA’s Minnesota event, what are the unique challenges and the opportunities that you see in the practice of Japanese gardening in the area? 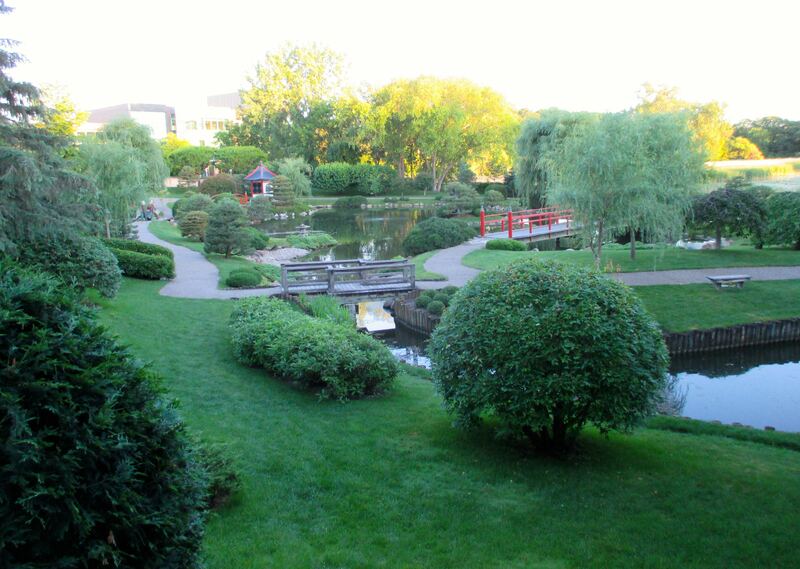 JP: The gardens in Minnesota are all quite good and excellent examples of a variety of styles. Without question, the climate is the greatest challenge. Spring through fall is delightful, but the winter is very long and usually extremely cold. Winters are hardest on the plant material and it seems every spring provides a new challenge in response to winter damage. Construction techniques are also slightly different due to the extreme freeze and thaw potential of the soil. There is, however, a great availability of plants and materials for garden construction. Many natives and well-adapted plants, while not usually seen in Japan, make excellent contributors to the garden. The people that visit these gardens also seem to thoroughly enjoy them, which gives us all an opportunity to show how these gardens are not solely culturally specific creations, but pleasing arrangements of form and function that can be integrated into everyone’s life. NAJGA: Can you tell us more about the scope of your services as a garden consultant and what are the other gardens you are involved in, past and present? JP: My work focuses on two things. Improving guest experience, and creating a sustainable system of maintenance that allows the garden to remain viable for decades to come. Within those two basic concepts, however, are a variety of services including design and implementation of hard scape improvements such as placement of garden stones, fence building, pathways, structure conservation, to name a few, and a considerable amount of contract pruning of specialized plant material, and instruction to permanent garden staff about proper care of the garden as a whole. For garden educators I also provide insight into proper discussion of garden elements and design intent that is passed on to the garden guests. In addition to the public gardens at Como Park, Carleton College and Normandale Community College in Minnesota, I provide similar services for gardens in Arkansas, Colorado, Tennessee and in my home state of Texas. John Powell is the principal behind Zoen LLC Associates, a consultancy firm specializing in Japanese garden creation and maintenance. E-mail: jp_zoen@yahoo.com; Tel: (817) 829-4335.